Marshall Presbyterian Church has placed a float in the Town of Marshall's Christmas Parade for the last 3 years. 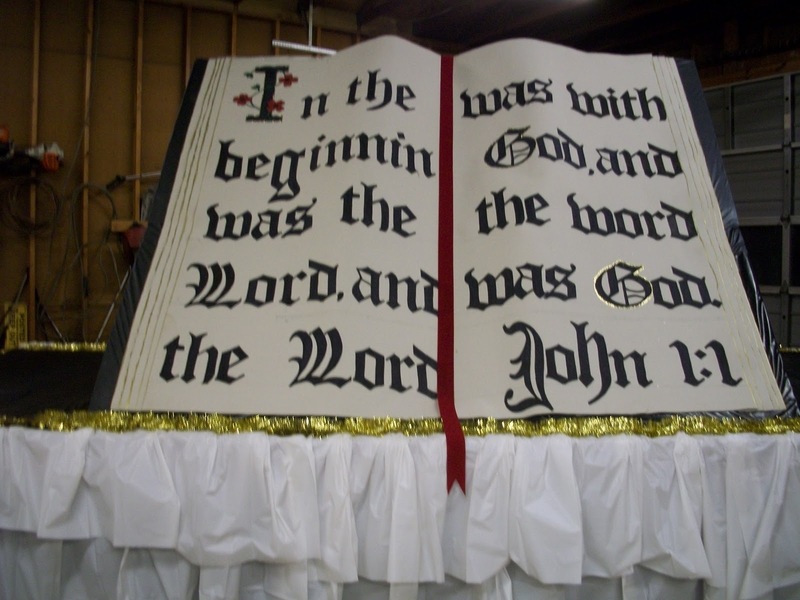 This year's float did double duty as it floated through the Christian Parade held by the French Broad Baptist Association on December 3 and the town parade on December 10. The men of the church walked alongside the float and handed out stuffed animals to children. 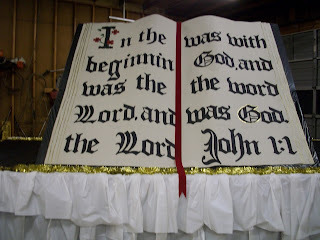 The float was a Bible opened to John 1:1 which presents the mystery and wonder of God coming to earth as a man in Jesus Christ.